Nothing turns my head faster than a pretty flower. But, lately I’ve been thinking a lot about leaves. This year I thought I’d put together a container that was sans flowers, using coleus. 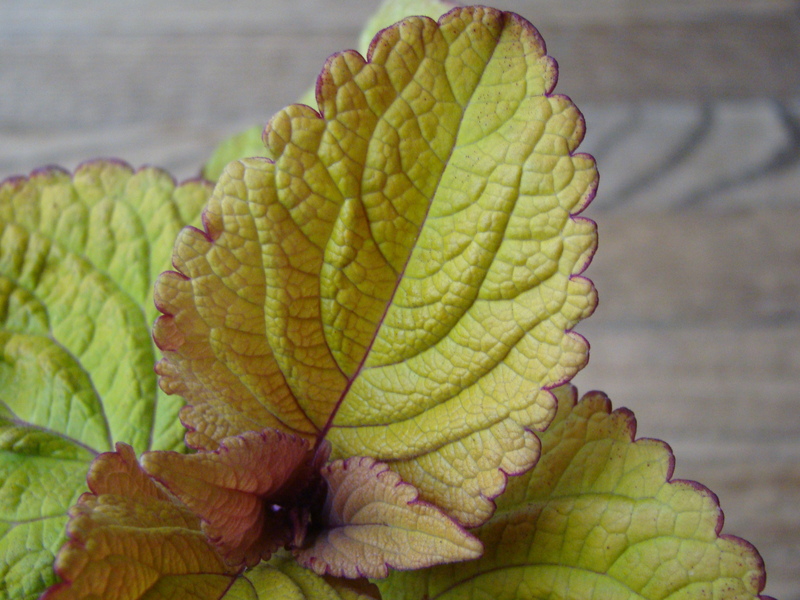 I purchased seeds for coleus chocolate mint, with a plan to look for a couple of other varieties to be potted with it for an arrangement to sit atop the little blue sidetable on my balcony. I think the three will make a striking combination. 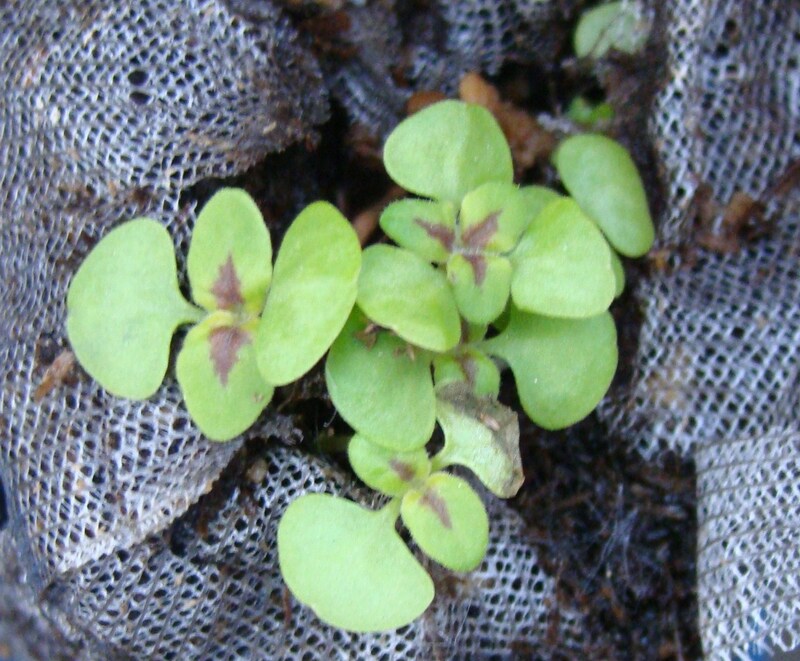 It is great to see these beautiful leaves (coleus) in your blog 🙂 As you know, I tried planting it together with dollarweed but it didn’t work out that well. 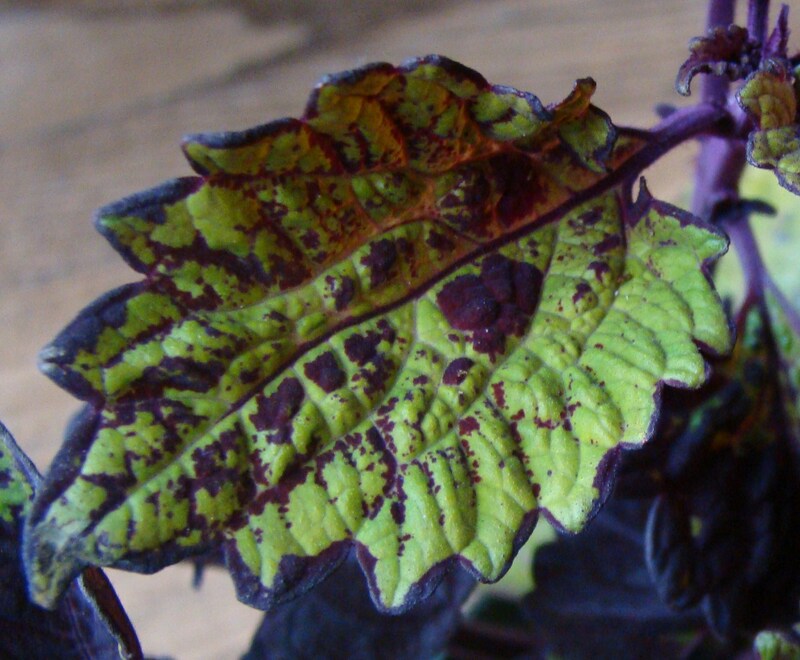 The weather was so hot recently that even a few leaves of my coleus got burnt 😦 Now, I am thinking of changing the plants inside that container. Btw, the link given by Helen is amazing! Before, I didn’t know that there are so many varieties. I LOVE coleus! I planted the white/green combo one year and man was it dramatic. I remember you talking about the garden show and the coleus containers. I pictured it right away. Great stuff.